Open hearts, open doors, open minds. Rev. 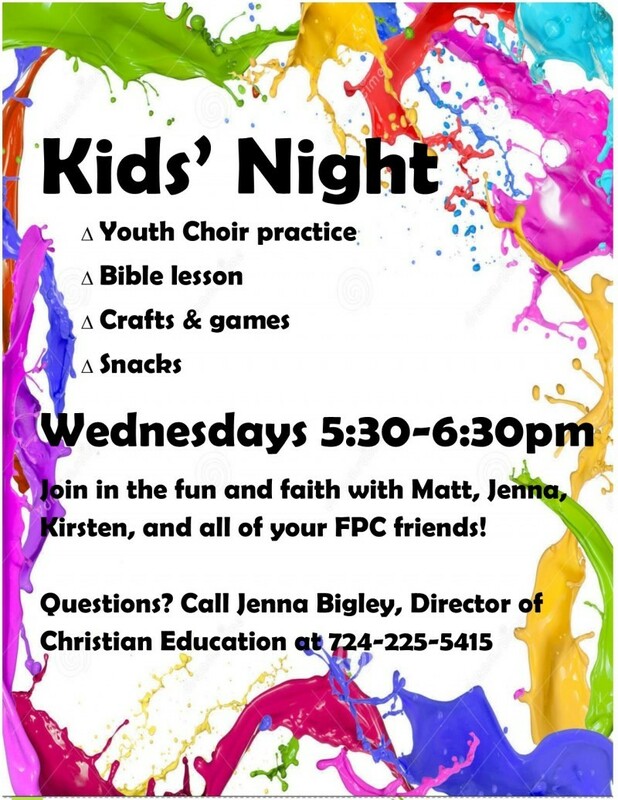 Dr. L. Stephen Smith Jr.
Join Jenna Bigley (Director of Christian Ed.) 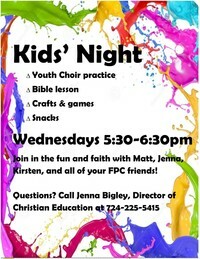 and Matt Boice (Director of Music) every Wednesday for Kids' Night!